Sorry it's been a while but we have some exciting news. 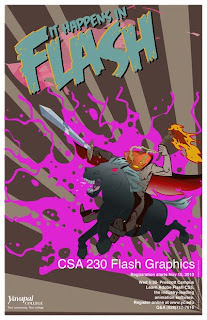 I had submitted a poster design for the new Flash Graphics class (CSA 230) starting this spring 2011. My design was chosen and will be featured on all the Yavapai College campuses in northern Arizona. 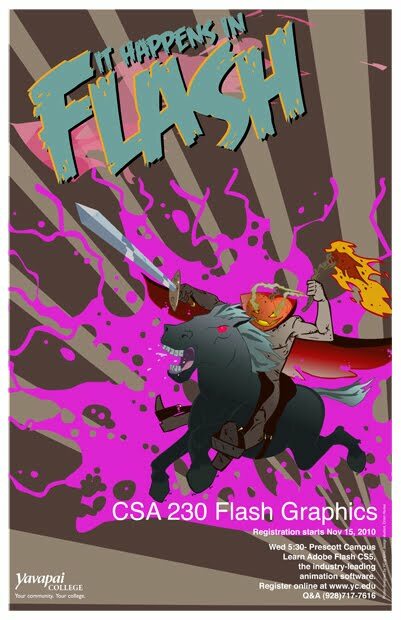 I really enjoy poster design and working out the challenges that arise. Ink and Ice Industries has a new site up!!!! Go check it out at http://www.inkandiceindustries.com also we had the pleasure of building a few more.